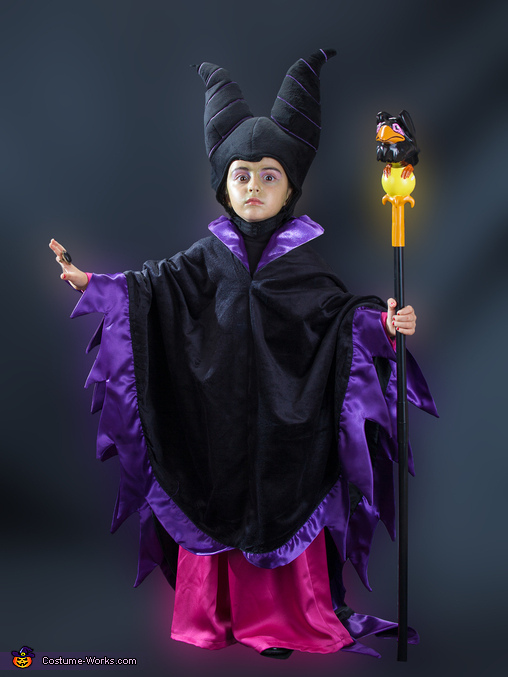 My daughter, Desiree Buhagiar is wearing the Maleficent's costume. Her dad and I were inspired by the 2014 American dark fantasy movie directed by Robert Stromberg. We were soon inspired that Desiree will fit into this costume. Desiree also like the idea and here we are! We sketch the character's costume ourselves and given it to a tailor to make this wish of us come true. We bought the drapes and necessary items for sewing. We wanted to put all our efforts into this as besides that we love Halloween it was a family project for us. Cost of the costume was 300Euros.